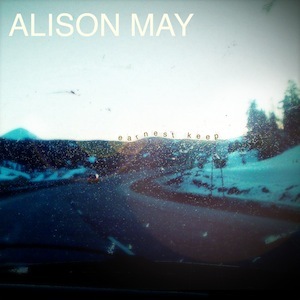 Alison May lets out a deep sigh before crooning over a strummed acoustic guitar on “Feathers For Shoulders,” and the feel of her inaugural album is at once encapsulated. In fact, the entirety of Earnest Keep is like one enormous sigh, tinged with heartbreak and expansive wonder. Earnest Keep is mostly May and guitar, though tracks like “See The Fire” feature a duet with mandolin and some understated percussion. These instrumental flourishes add warmth to the LP, though sadly, they’re never used to their full potential. But even as a one-woman show, Earnest Keep remains a windswept slice of folk and a glimpse into the private thoughts of a contemplative songstress.